Buffalo food is a topic often discussed on Morning Bull, but this interview was particularly special. NYC food writer Arthur Bovino committed to writing THE encyclopedia on Buffalo and WNY food culture. When we say commit, that’s the genuine article. Arthur lived here for a month, eating exclusive Buffalo flavors. He gained 25 pounds after visiting 125 Buffalo-area eateries. His book may end up as the comprehensive guide to all things Buffalo cuisine. 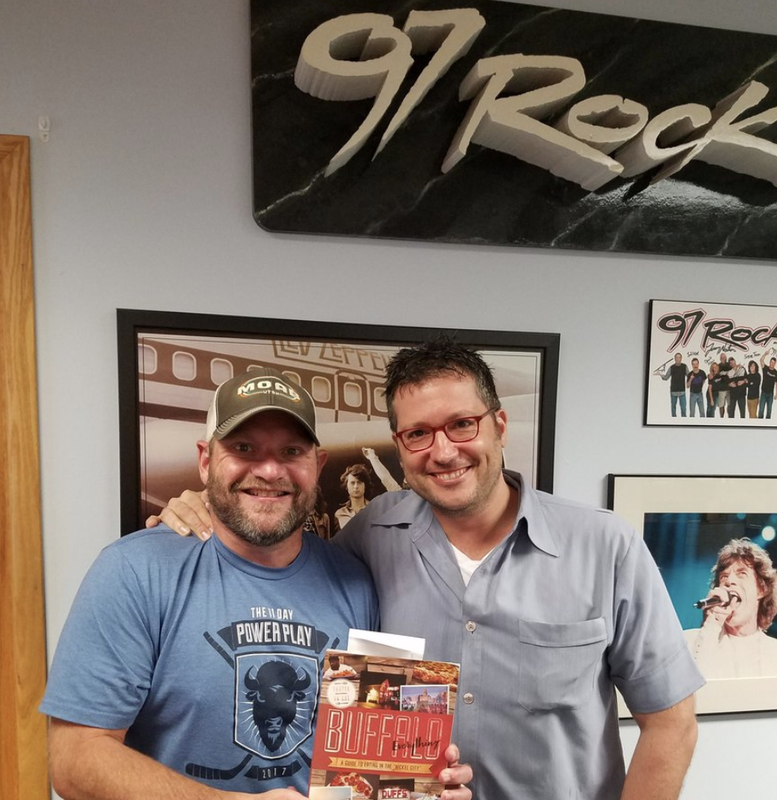 Morning Bull brought him in studio to dig deep into the process of his book, and what are his personal favorites for wings, weck, pizza, and more. Click here for a link to his book, on sale now. Can’t see the audio player below? CLICK HERE to stream segment one, and click here to stream segment two on your phone or browser! Click here for the full story on 97Rock.